Annabelle will be launching their newest Limited Edition Collection for Winter 2011 on October 10th, 2011! 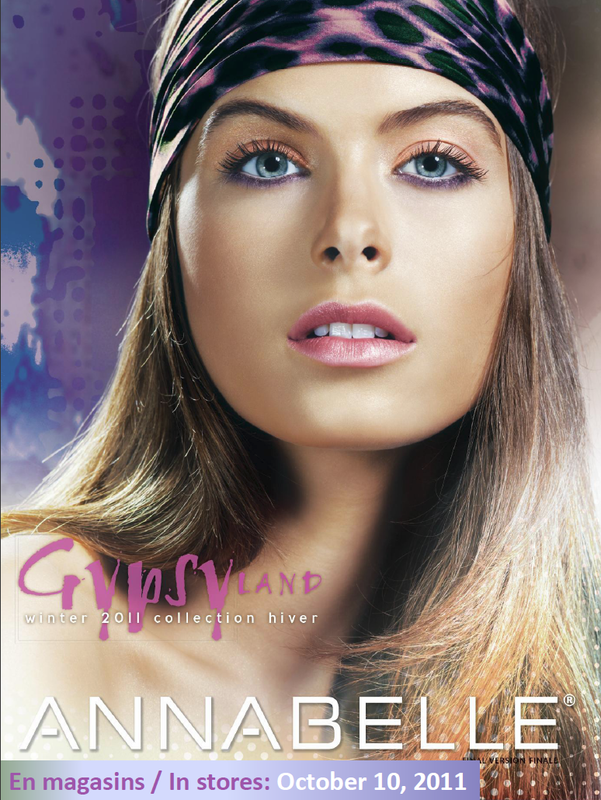 In this collection, the colors are inspired by the "bohemian, hippie-chic style , directly from fashion shows". They include rich pinks, purples, blues, greens and golds to create that glam hippie look. What's interesting about the collection is that they creating these trendy colours in their best selling formulas such as Volumelip Plumping Gloss ($8.50 each), the Glitterama Liquid Eyeliner ($7.95 each) and the Smoothie Eyeshadow Pencil ($8.95 each). Of course, they also created other products in this collection including a face powder and 3 eye shadows all with hippie tie-dye patterns. I'm a sucker for these packaging stuff! Volumelip Plumping Gloss I have tried this in Au Current. I find that the formula is pigmented, not sticky and moisturizing. 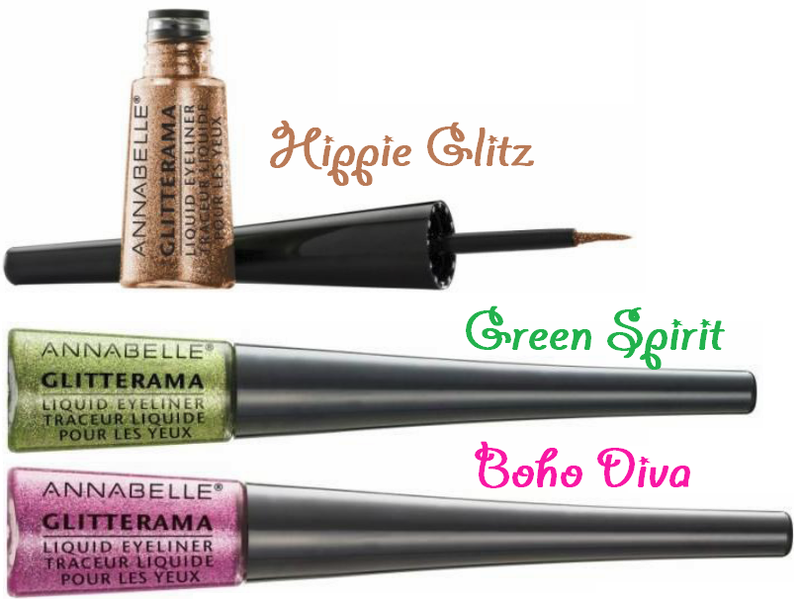 Glitterama Liquid Eyeliner I have tried this in Disco Inferno. I find that the formula is pigmented, glitter doesn't cut my eyelids. Love it. What do you think of this beautiful collection?